Our General English Courses are designed to improve your overall ability in English language. These courses are structured to help you with speaking, listening, reading and writing English. Our teachers work hard to build your confidence and help you gain from the benefits from having English as a second language. Your confidence will grow as we activate your speaking, listening, reading and writing skills. Your vocabulary and understanding of the English language will increase. We will help and support you in your English learning adventure. 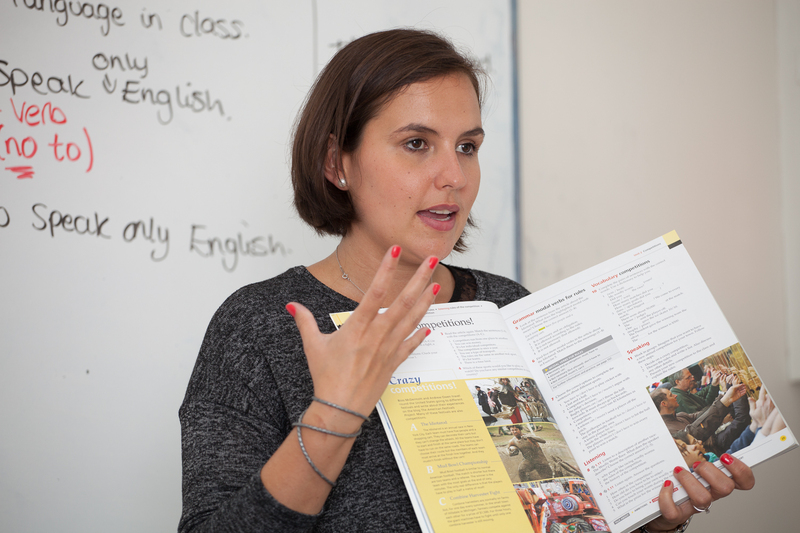 While you may go on to prepare for Cambridge or IELTS qualification, for those who don’t wish to take an exam, our General English courses offer the same high standard of teaching. You can choose a course that lasts two weeks or book another that lasts three months; all offer a certificate of learning. The grades awarded are in accordance with the International Framework of European Languages and are widely recognised by prospective employers around the world. Improve your General English and become more fluent and accurate with our most popular course. Do you want to know the amazing price of our courses? Get an instant quote for the course you need. With a range of options to study with others, we try to be as flexible as possible. Our students can even extend the length of the course whilst studying. Building each learner's vocabulary, grammatical knowledge, fluency and confidence is of paramount focus to us. Our teachers are trained and qualified to give you interesting and motivating classes. Our General English courses activate your English and build on your strengths. Castle School teachers help your weaker areas of General English with kindness and support. You will use your English in every lesson. You will enjoy participating in the class discussions. Your direct involvement will improve your English quickly. This is at the heart of our approach to teaching. We believe you learn fastest when you are supported. Your teacher will monitor your progress. They will identify your strengths and weaknesses, and help you on your journey to success. We understand the importance of giving you encouragement, confidence and motivation. In addition to text books, your teachers will use real resources. This may include newspapers, videos, internet and audio recordings. This will give you an understanding of how English is used in real contexts. How can learning English benefit you? Learning English gives you many advantages, especially in terms of furthering your career. English is the second most popular spoken language in the world. English is the language of academia, sciences and the internet with over 948 million users speaking English. One of the biggest benefits of speaking English is that it's the language used in international business. For those who love to travel, English is the native language of over 50 countries. Castle School of English believes that you will improve your English far more quickly in a language school environment than if you were learning alone. Our students are asked to take an introductory placement test. This helps our teaching staff place students in a class according to their experience and beginning ability. After that, each lesson is catered to help our students move forward as much as their length of stay allows. Our General English Courses utilise the most up-to-date learning techniques in language development. Castle School of English make it possible to meet all sorts of people from other cultures around the world. This alone makes your learning experience a unique and memorable journey. The school works really hard to ensure that you are able to continue with your English Language adventure after your time with us. Our students leave feeling positive and inspired to continue with the methods they have learned when returning home.